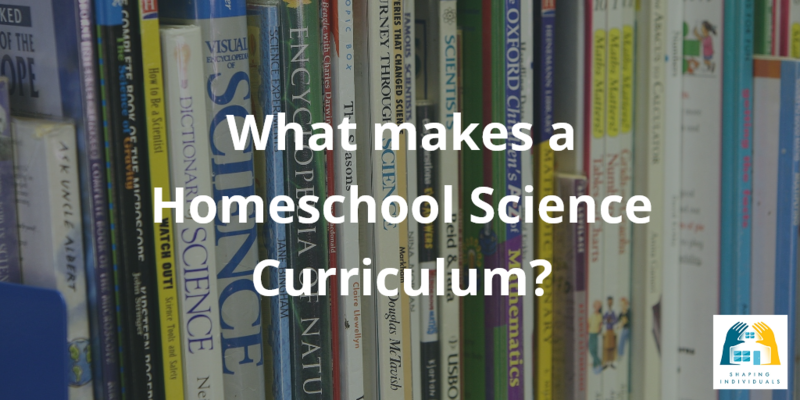 What should make up a Home school Science Curriculum and how do you design your homeschool science curriculum? A Home school Science Curriculum is made up of many fields of study, yet, they should be seen as a unified whole, because all has been created by God and for Him. When we teach this subject, we need to understand that God is the author of all and is always to be praised by all of His creation. We can see the complexity of what He has made and also the unity. We can also investigate the systems He has created, the order and regularity, and also recognize our inability to understand all His ways. We must also see man in the position in which God has placed him, and seek to understand how we can fulfill our calling to be in dominion over the creation, without being abusive. Let me quote from Noel Weeks in his book, The Christian School Weeks, N. The Christian School, 1988, The Banner of Truth Trust p131. Within that world you have elements of similarity due to the common material used in creation and elements of dissimilarity due to the separate creative acts of God and the creation of animals after their kind. That worlds regularity is preserved by God as part of His patience with sinful man. God preserves the regularity by addressing commands to his creatures, for example, sun and moon. God in judgement addresses different commands and will address different commands to his creatures. Man as lord of this world under God may utilize this creation, t his lordship is not to become abusive and destructive tyranny. All these concerns need to inform our science, not just the fact of creation. As we teach Science, we will break it into its units and topics, but I believe that as we speak and discuss what we learn, we must remember to bring these basic Scriptural concepts to the attention of our children. We need to continually speak of these truths, converse about the God of Creation, and help our children to see Science, not as a bunch of isolated topics, but as a unified whole telling of the wonders of our Great and Loving God. The study of Science includes observation of nature around us; recording findings and information in Science notebooks by sketching and writing; reading from a variety of science resources, including home school science textbooks, and giving kids science experiments to do and find out science truths. Stretching our imagination, Science opens the world and gives us a glimpse of the power and creativity of our God. From this understanding, I will now outline a general view of Science and how it can be divided. Jessie Wise and Susan Wise Bauer, who wrote, The Well Trained Mind, divide the Scientific study into a four year cycle, which is repeated three times in the life of the child increasing in difficulty as the children mature. I highly recommed these wonderful Primary Science Resources you will love to read and teach Science. An extremely well written, beautifully presented text which engages the reader and fills them with awe for the Creator. My favourite Science Resource for Years 1-6. Wonderful new curriculum where you can learn high school Biology from one of the top creation scientists. Dr. Kurt Wise designed this unique class to fully integrate a Christian worldview with the biological sciences. The result is a completely new way to approach biology. He has taught this class for over a decade to high school and college students, and is now making it available for the first time in video format. The class includes video lectures, textbook (PDF), lab manual (pdf) and lab instructional videos. Click the image below for further dates and streaming information. 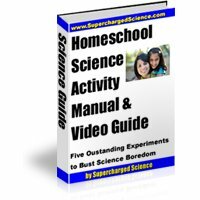 Another home school science overview which I have found to be more detailed was published on the Joyful Light Education Website. I have used this with permission. This author uses the Robinson curriculum, and so she makes mention of specific books in the overview. It is also directed to an American audience. I would add certain books on Australian Animals and Plants. 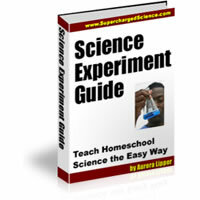 The Outline covers a range of topics of home school science and these do not need to be covered in order, but can be repeated in further depth through the years. This can be a very helpful guide to design your own homeschool science curriculum. 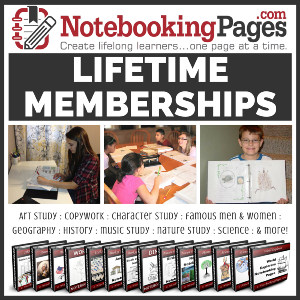 Notebooking Pages LIFETIME Membership provides the homeschooling family with a great resource - tons of notebooking pages for you to use as you develop your own home school science curriculum. Here is a basic outline for the study of science. I think this outline covers every topic that a student may come in contact with in the pre-highschool years. Do not try to cover this in one year! Once everything has been covered once, go back and start the cycle again, replacing the older reports with better ones. This outline does not need to be studied in order, although some of the basic science is needed to understand parts of the other sections. Some families may want to skip some sections completely until the last two years of high school. This is fine too -- especially if you use the Robinson Curriculum as it is meant to be used. This is just a rough guide of what can be done. It is not meant to be set in stone. - if you use the Robinson Curriculum the Bailey books can be used here, with some extra reading as needed. Animals of North America - an excellent source for this section is: "The Burgess Animal Book for Children"
Warning: This book contains references to Mother Nature, and how she is the one who made each animal the way that they are. Also contains references to how humans are bad when they hunt animals. This may be a problem to some families. I still plan to use these books with my children -- the information about what you can learn about the animals is very good and detailed. I will carefully discuss the questionable parts with my children OR, I will edit the books to take out all references to Mother Nature. Birds - if you use the Robinson Curriculum the Bailey books can be used here, with some extra reading as needed. Birds of North America - an excellent source for this section is: "The Burgess Bird Book for Children"
Warning: This book also contains references to Mother Nature, but not as prevalent as "The Burgess Animal Book"
Volcanos - Volcano Science project here. Simple Machines (like pulleys and levers) Try some cool science experiments on machines here. Force and Motion - Rollercoaster physics - great experiments here. File reports about Scientists in chronological order, or in alphabetical order by last name -- your choice. How do I teach Home school Science to my children? In concrete terms, how do I go about this task and how do I design our homeschool science curriculum? Now... check out what my kids are doing! - their own cool experiment page!